Over the years, commentators–including myself–have wrongly predicted an Israeli assault on Iran’s nuclear installations coming “soon.” But recent developments and a variety of signs indicate that such an attack is imminent, and highly likely before the American presidential elections. Last month, in the latest round of talks in Baghdad, Iran turned down a series of international proposals geared to halting Teheran’s headlong rush towards nuclear weapons production that left Western leaders, including President Obama, flustered and deeply worried. The representatives of the Security Council member states plus Germany appear to have agreed to allow Iran to enrich Uranium up to 5% (sufficient for medical research and other civilian purposes) if it agreed to stop its more advanced enrichment to 20%, to halt work on its major new underground enrichment facility at Fordow, near Qom, and to hand over to a third country the tons of 20%-enriched Uranium it has already amassed. The Iranians refused. Analysts say that Iran has sufficient enriched Uranium to produce four-five atomic bombs if the material is further enriched to 95% (a process which is much simpler and quicker than the jump from 5% to 20%). The international community’s hopes are now geared to the current activation of a new round of sanctions, including a complete embargo by the European community on imports of Iranian oil which was due to kick in on 1 July. Perhaps these will persuade the Iranians to sit up and take notice. But Israel’s leaders and commentators are extremely skeptical. It is feared that so long as Russia, China, India, and a cluster of Arab and non-Arab Muslim states, including Turkey, continue to do major business with Iran, Teheran can weather the sanctions. Unfortunately, history is on the side of the skeptics: No large country has ever keeled over or surrendered on a major project as a result of sanctions (see, for example, India and Pakistan, who both successfully withstood Western sanctions imposed to stop their nuclear bomb programs. Both now have nuclear arsenals). Israeli leaders and commentators believe that the leadership in Iran, which is irrational, fanatically Muslim, anti-Semitic and messianic, wants to destroy Israel and, if in possession of nuclear weapons, may well launch them against Israel. Or, at the least, the regime cannot be depended upon not to launch them. Only last week, Iran’s vice-president, Mohammad-Reza Rahimi bewildered attendees at an international conference in Teheran on drugs by saying that that the Talmud, a major Judaic text from the middle of the first millennium, was responsible for the international drug trade and “teaches to destroy everyone who opposes the Jews.” He also blamed the Jews for the Russian Revolution and said that gynecologists kill black babies on the orders of the Zionists. According to Israeli leaders, including Defense Minister Ehud Barak, the window of opportunity for a successful conventional strike against Iran’s nuclear installations is closing: The Fordow facility will soon be fully operational and, built under a mountain, invulnerable; and sometime during 2013 Iran will have nuclear weapons. Another reason for the closing window, which Israeli leaders do not mention publicly, is the impending American presidential election, which most predict will leave Obama in the White House. Obama, reflecting American public opinion, seems to have no stomach for a further war in the Middle East and ultimately would prefer a nuclear Iran to war, in spite of what he has said or implied to the contrary. But in the run up to the November 6 vote, Obama will be chary of alienating the American Jewish vote or non-Jewish supporters of Israel, and so he can be expected to avoid condemning or punishing Israel for an attack on the Iranian facilities. But after his re-election, he will suffer from no such electoral inhibitions. The signs are mounting that Israel–which would prefer an American attack on the Iranian facilities–will go at it alone in the coming weeks or months. Perhaps most telling is the stark silence on the subject of Prime Minister Netanyahu and Ehud Barak, who during the winter and early spring were busy threatening an Israeli attack from every podium and in every available microphone. Now they are completely mum. To this, one must add the recent interview in the Israeli daily Haaretz with Netanyahu’s deputy, Minister for Strategic Affairs Moshe Yaalon, a former IDF chief of staff. In the past he has been categorized in the press as one of Netanyahu’s opponents on the Iranian issue in the inner cabinet, where the decision to attack Iran must necessarily be approved. Yaalon has now told Haaretz interviewer Ari Shavit that between Iran being allowed to get the bomb (ptza’tza, in Hebrew) and Israel bombing Iran (haftza’tza), he opts for the second alternative. This radical shift in position most likely grants Netanyahu a majority in the inner cabinet. Lastly, a leading Israeli political scientist with strong links to the defense establishment, Yehezkel Dror, came out in an interview last week in favor of bombing the Iranian installations if there was a probability of success. The 84-year-old Dror was the leading member of the Winograd Commission, which probed, and strongly criticized, Israel’s attack on Hezbollah in Lebanon in 2006. 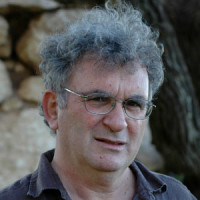 Dror said that he had previously opposed assaulting the Iranian nuclear facilities, hoping that international sanctions and diplomacy would do the trick, or that the US–a far stronger power than Israel–would take out the Iranian installations, or that considerations of MAD (mutually assured destruction) would curb a nuclear Iran from attacking Israel. But he now understood that only an Israeli assault stood between Teheran and nuclear weaponry, and that allowing the nuclear weaponisation of Iran would mortally threaten Israel’s existence. Iran was not like Cold War Russia, and could not be relied upon to act rationally. Dror was well aware of the potential perils of an Iranian counter-offensive, probably involving the rocketing of Israel’s cities by Iran and its proxies, Hezbollah and Hamas, and negative international fallout for Israel. But “the more dangerous gamble is not to attack [the Iranian nuclear sites],” he said.